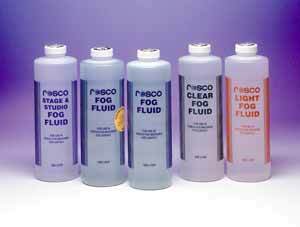 Light, Clear, Scented And Regular Rosco Fog Fluid. Rosco Fog Fluid.....for over 20 years. The most widely used fog fluid in theatre, live entertainment and theme parks.